Looking for Concrete Pumping Services? Stief Concrete Work Inc., can help with that too. 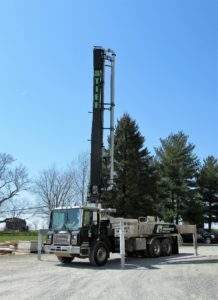 We offer concrete pumping services for Lancaster County and surrounding areas. Our Putzmiester 32Z has a 105’ vertical reach, an 85’ horizontal reach and a pump rating of 200 CY/hr. With American Concrete Pump Association (ACPA) certified pump operators, reputable service and competitive pumping rates, we can help with any job, large or small. For more information, contact Charlie Mull at (717)354-0955, or click below to submit an inquiry.